Texas politician Beto O'Rourke, who recently accused longtime Israeli Prime Minister Benjamin Netanyahu of being a "racist" and a false leader, was there, obsequiously telling Sharpton he would support a study on reparations. He wasn't alone. Many of the people who had only recently defended anti-Semitic Ilhan Omar -- Kamala Harris, Elizabeth Warren and Bernie Sanders, among others -- were pandering to man who once said, "We taught philosophy and astrology (sic) and mathematics before Socrates and them Greek homos ever got around to it." 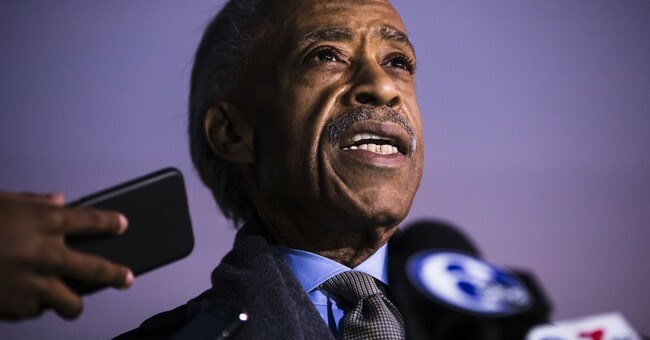 Sharpton most famously threw an entire city into turmoil in 1987 when he cynically exploited the hoax of a black teen named Tawana Brawley -- who claimed to have been raped, kidnapped, smeared with feces and left wrapped in a plastic bag by a group of white men in Dutchess County, New York -- for attention. To the surprise of absolutely no one, a state grand jury would find that her claims had been fabricated.